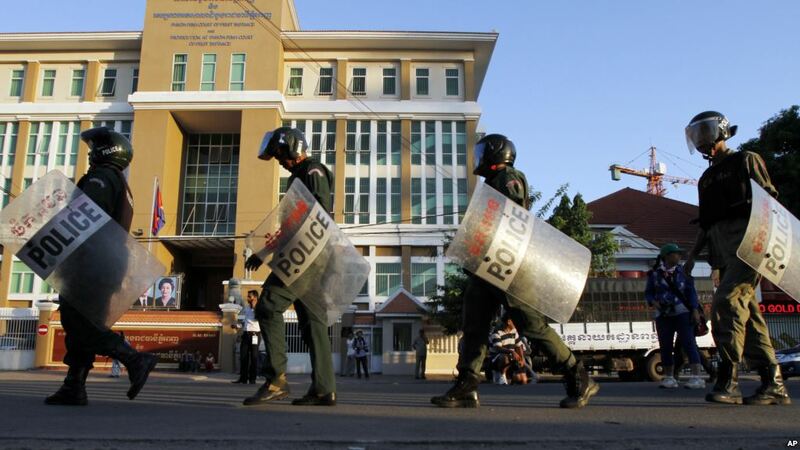 FILE - Cambodian riot police officers walk in front of Phnom Penh Municipality Court in Phnom Penh, Cambodia, May 30, 2014, after the court convicted almost two dozen factory workers and rights activists for instigating violence. 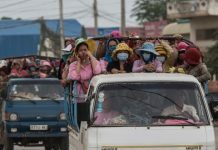 The European Union is threatening to withdraw crucial trade preferences if Cambodian Prime Minister Hun Sen does not reverse a prolonged political crackdown. 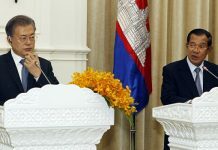 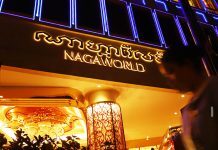 Bangkok – Cambodian Prime Minister Hun Sen is facing economic pressure to reverse a recent crackdown on opposition groups and basic freedoms in his country.